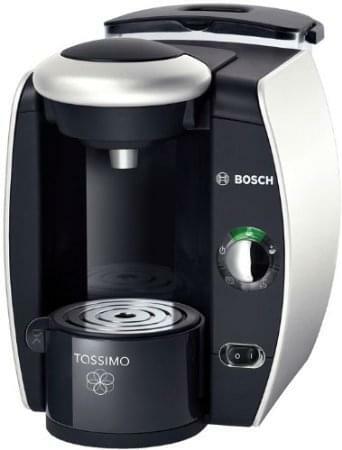 The Tassimo T40 supplies delicious freshly brewed drinks with just the press of a button. 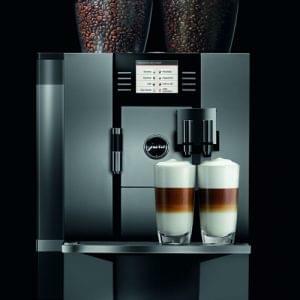 The Tassimo T40 supplies delicious freshly brewed drinks with just the press of a button. Tassimo offers a range of over 35 varieties of hot drinks, including flavoured lattes and hot chocolates, and uses a unique barcode system to ensure the temperature, brewing time and amount of water required will be adjusted to suit your chosen beverage. It is not only easy to use, with a simple one touch start system, but the black and silver design will look sleek and stylish on your kitchen surface. Other features include a large 2L water tank, a removable cup stand and an automatic cleaning and descaling programme.